Doreen and I drove to Torino (Turin) last weekend. 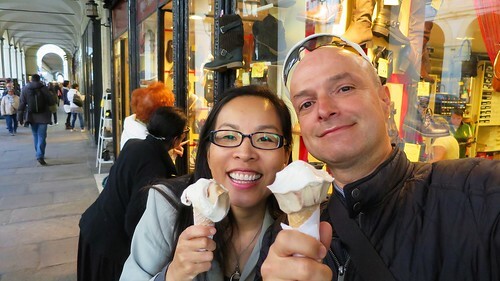 Lots of fun, nice museums, gelato stores everywhere. 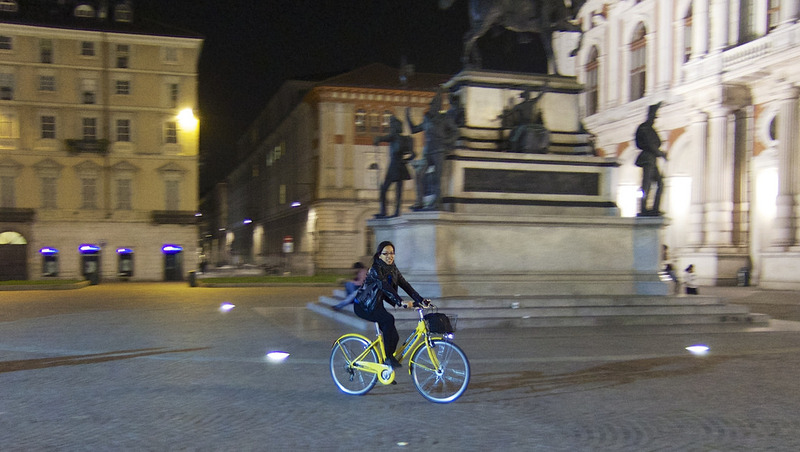 But the visit was a success in large part due to the bike share program that allowed us to cycle everywhere. The city is covered with little stations of 10 bikes or so and with the card thingy one can drop off or pick up a bike at any of these spots. €13 euros for 48 hours. Both days we rode along the Po river along large paths used by joggers and bikers. Beautiful and we never got far enough to know if/when they end. The city has lots of bike lanes, and pedestrian (and bike) only squares and streets, so riding was a pleasure. Doreen had an absolute blast. And I was forgiven for stupidly booking a hotel a mile from the interesting stuff (but serviced with the city bikes). The Film Museum is in a fabulous Tower. It has an elevator to the roof that is worth the trip. The museum is not just about Italian movies and North-Americans will still enjoy it. The Egyptian museum is known as the best ancient Egyptian museum in the world outside of Egypt. Lots of mummies. Finally, the museum of the “risorgimento” – The Unification of Italy … is just fabulous. The best part of Italy – anywhere – may be how every bar, snack bar, etc. seems to get ready for happy hour with wonderful snacky buffet set-ups. Even my wife (a non-drinker) likes Italian bars. 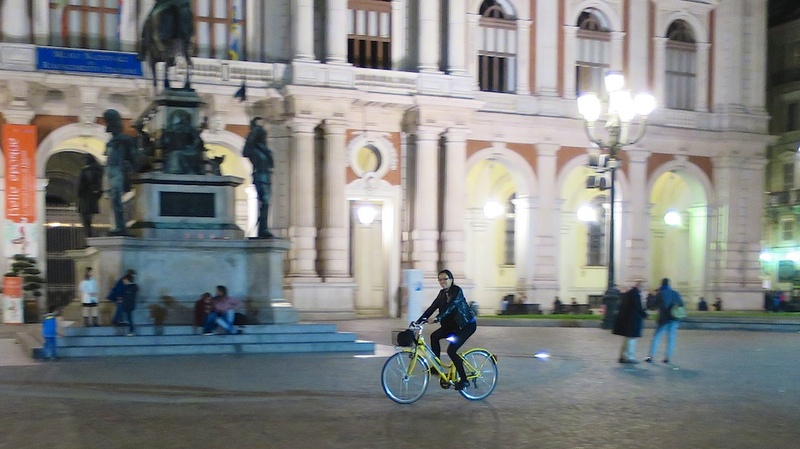 We started the climb to Superga on our bike share bikes, but there wasn’t enough air in the tires. I hope to try again.